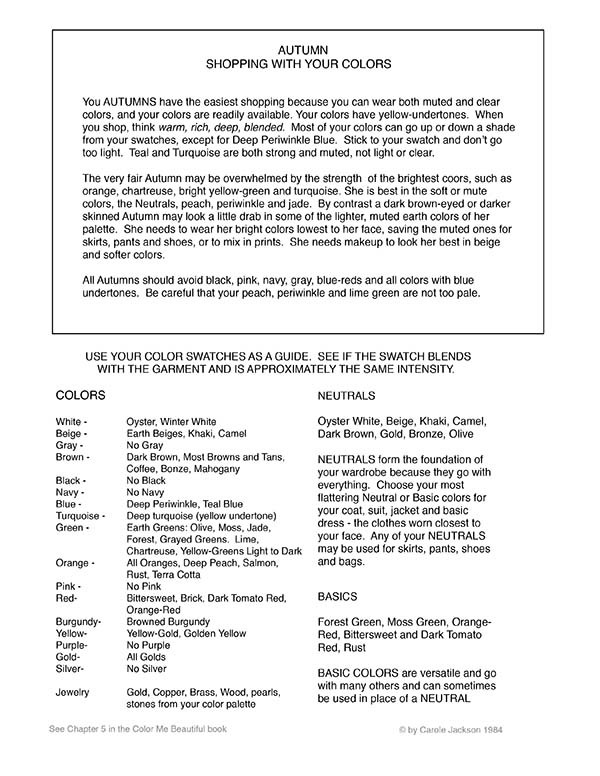 You AUTUMNS have the easiest shopping because you can wear both muted and clear colors, and your colors are readily available. Your colors have yellow-undertones. When you shop, think warm, rich, deep, blended. 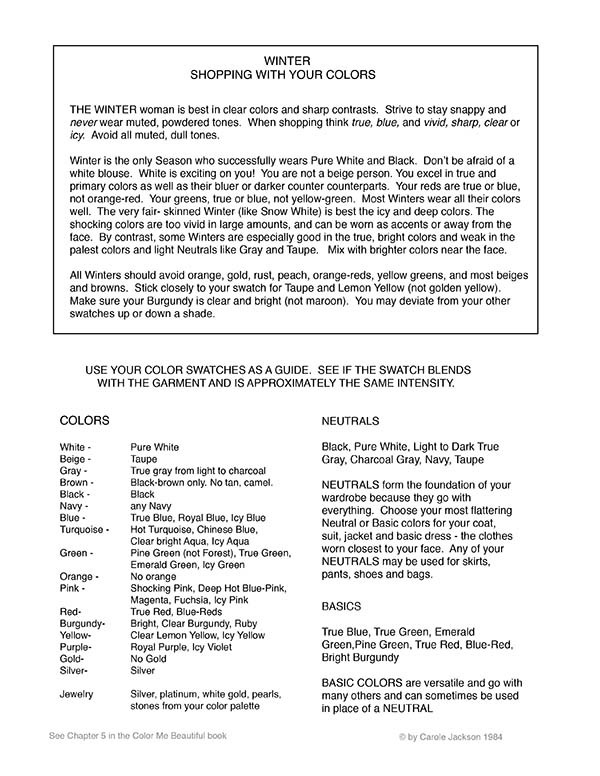 Most of your colors can go up or down a shade from your swatches, except for Deep Periwinkle Blue. 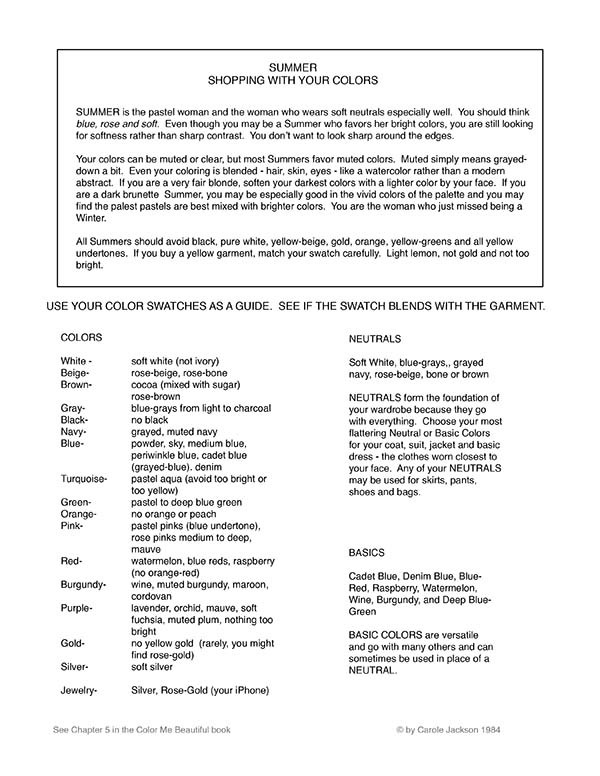 Stick to your swatch and don’t go too light. Teal and Turquoise are both strong and muted, not light or clear. The very fair Autumn may be overwhelmed by the strength of the brightest colors, such as orange, chartreuse, bright yellow-green and turquoise. 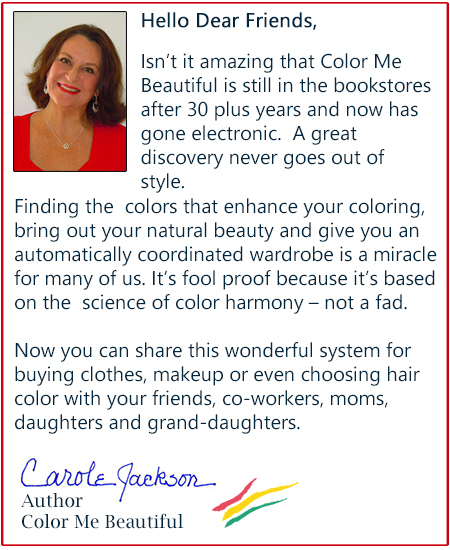 She is best in the soft or mute colors, the Neutrals, peach, periwinkle and jade. By contrast a dark brown-eyed or darker skinned Autumn may look a little drab in some of the lighter, muted earth colors of her palette. She needs to wear her bright colors lowest to her face, saving the muted ones for skirts, pants and shoes, or to mix in prints. She needs makeup to look her best in beige and softer colors. 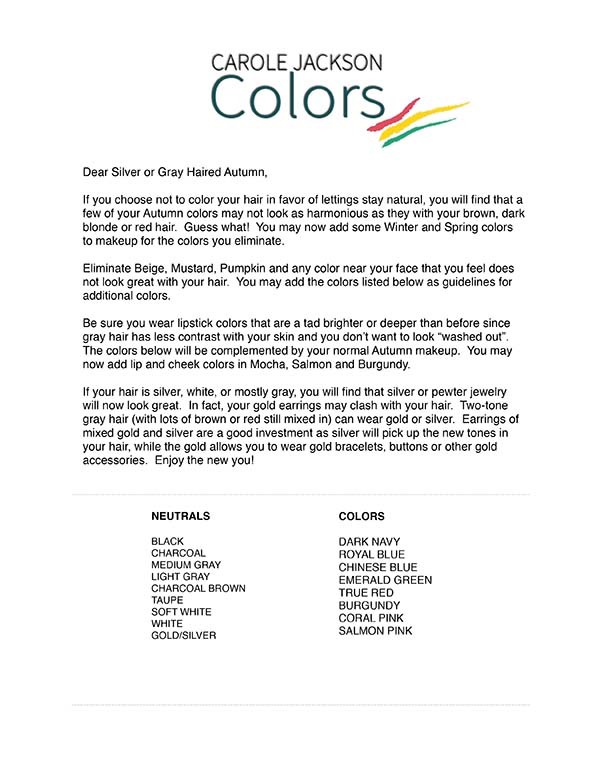 All Autumns should avoid black, pink, navy, gray, blue-reds and all colors with blue undertones. 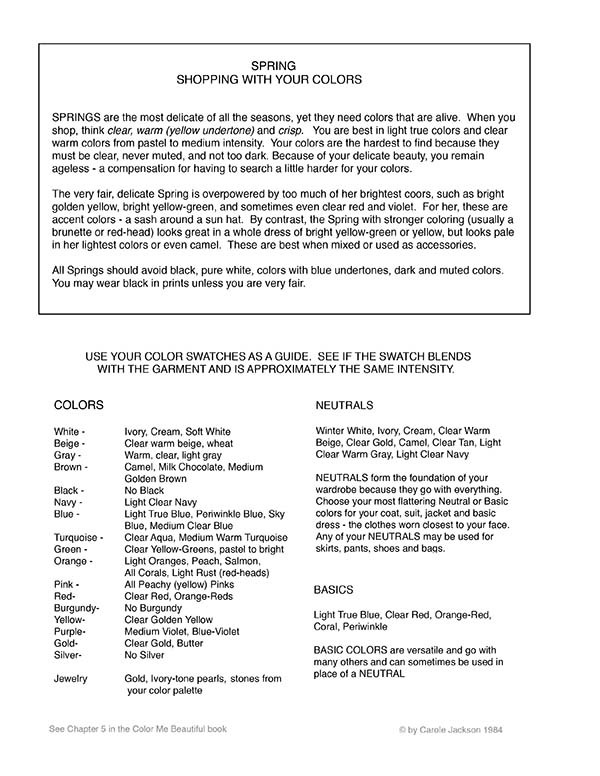 Be careful that your peach, periwinkle and lime green are not too pale.